Rupert Murdoch's News Corp. says James Murdoch is stepping down as executive chairman of the company's U.K. newspaper arm. 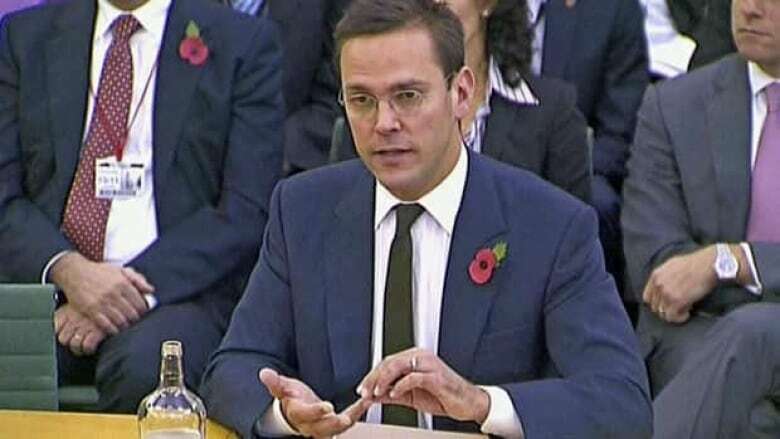 James Murdoch is stepping down as executive chairman of News Corp.'s U.K. newspaper arm, the company said Wednesday. News Corp. said James, the son of 80-year-old media scion Rupert Murdoch, has relinquished his position at News International to focus on the company's international TV business. He will remain deputy chief operating officer of News Corp.
James and his role at News International have come under scrutiny amid Britain's expanding phone-hacking scandal at Murdoch-owned titles. The younger Murdoch has said he was unaware of any indication that hacking was rife at the company's News of the World tabloid, a claim disputed by former colleagues. In a statement, James, 39, thanked the dedication of his colleagues who he said worked "tirelessly to inform the public." He also praised the company's latest British newspaper, The Sun on Sunday, which had its first edition last weekend. Tom Mockridge, chief executive of News International, will continue in his post and will report to News Corp. president and chief operating officer Chase Carey, the company said in a statement.